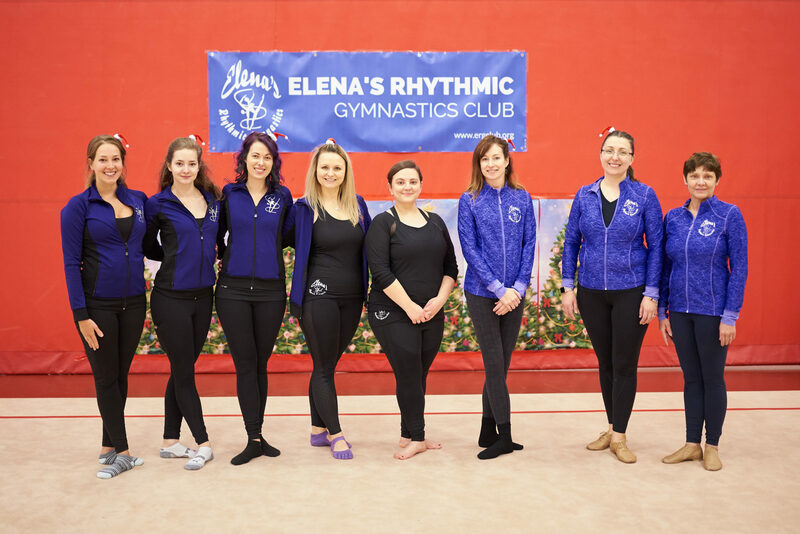 Elena's Rhythmic Gymnastics Club stands out as being a welcoming and high-calibre club in Edmonton, AB since 1995. We are very proud of the variety and high standard of our rhythmic gymnastics programs and the caliber of our coaches. To start, Elena's RGC has outstanding recreational programs for all ages, with gymnasts ages 4 to adult. All our recreational programs offer weekly instruction in the basics of rhythmic gymnastics, developing strength, flexibility, musicality, acrobatics and ballet while having fun with ribbons, balls, hoops and ropes. Our class sizes are limited to ensure quality and individual attention. Furthermore, we use the PRISM Program, which allows non-competitive gymnasts to work towards attaining badges for various skill levels in rhythmic gymnastics. The club also has a strong competitive program which excels with interclub, provincial and western regional stream athletes. Our gymnasts earn top placements at competitions including over 20 titles of "Alberta Provincial Champion" and "Western Regional Champion" in Canada. Finally, ERGC’s rewarding performing stream offers once-in-a-lifetime experiences, being part of Team Canada for the 2011, 2015 and soon to be 2019 World Gymnaestradas in Switzerland, Finland and Austria respectively! These are the largest athletic events in the world with over 20,000 athletes coming together from around the globe. ERGC's excellent and experienced NCCP-certified coaching team has established us as one of the longest running and most successful clubs in Edmonton. Our coaches constantly engage in learning opportunities to ensure the very best for our gymnasts and deliver our club motto: “Fitness, Friends & Fun”. ERGC is a non-profit society whose affairs are directed by an elected executive. We are affiliated with both Rhythmic Gymnastics Alberta and Gymnastics Canada. Elena has many advanced qualifications to help her bring out the best in each student. She has a Master of Sport Degree in Rhythmic Gymnastics from Russia, where she competed for 10 years. As a member of Russia’s National Team, she successfully competed at regional, national and international competitions, winning gold and silver medals. Elena has her National Coaching Certificate Level 2 and is a National Level Judge. Her practical and theoretical knowledge has contributed to both her recreational and competitive classes and has been developing outstanding gymnasts for her entire career. 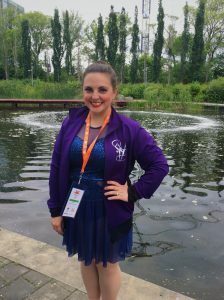 Elena started her rhythmic gymnastics career under her mother’s instruction at Elena’s Rhythmic Gymnastics Club at the age of four. During her 12 years of competing, she was named Provincial Champion 7 times, and with 38 gold medals. While competing mostly in the country, Elena also travelled to an Invitational International Competition in Hokkaido, Japan, and received first placement in her category. Elena also enjoyed dancing ballet with the Vaganova School and was awarded the titles of Outstanding Novice, Highest Mark in Festival ’98, Highest Mark Solo, and Highest Achievement in Dance. Elena has been coaching for 10 years and is a fully trained NCCP Level 3 Coach. Her competitive gymnasts are known for their grace and clean presentation. In 2016, her gymnast was awarded 2016 Western Canadian Champion. She has also performed and co-coached the elite performing team for the 2011 and 2015 World Gymnaestradas. Her energy and knowledge contribute to exciting and productive classes for the gymnasts. 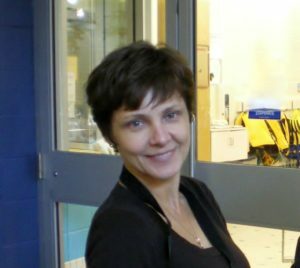 Lisa was part of Edmonton Rhythmic Gymnastics (ERSGA)'s Senior Performing team for over ten years where she performed at two National Gymnaestradas and two World Gymnaestradas (Lisbon 2003 and Austria 2007). 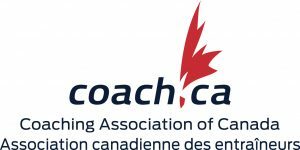 Lisa received her NCCP Level 1 Coaching certification in 2002. She started coaching recreational gymnasts in 2001 and also coached ERSGA's Junior Performing Group in 2008-2009. Retiring from the sport in 2007, Lisa joined ERGC at the 2018 National Gymnaestrada in Richmond, BC as a gymnast. She loves coaching and showing her love of rhythmic gymnastics to a new generation. Lisa works at a local digital marketing agency. Darci ballet experience began at 10 years of age. She started out learning the Cecchetti Method, later moving on to RAD where she completed her Intermediate Ballet Exam, under Carole McKay-Bonin. Darci won the top award for highest mark at the Kootenay Arts Festival for all disciplines for the region for her pointe ballet solo. She went to the B.C. Provincial Festival twice, and was featured in BC Report Magazine. Darci studied Advanced RAD; then moved on to learn the Vaganova ballet technique under the direction of Maria Mitrache-Bokor, and many others. Darci went on a tour to Romania to dance and participate in Master classes. 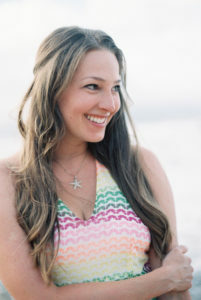 Darci is a busy mother of 5, and is currently studying Pilates with plans to become a Certified Pilates Instructor. Darci’s passion for ballet keeps her inspired to bring out the best in her dancers.